Come to an amazing jeep show featuring prizes, raffles, two live bands, and food for purchase. BYOB & Chairs. $10 per adult cover. Kids come free!! Plus, come and check out some adorable pups that are scheduled to attend and are ready for adoption!! 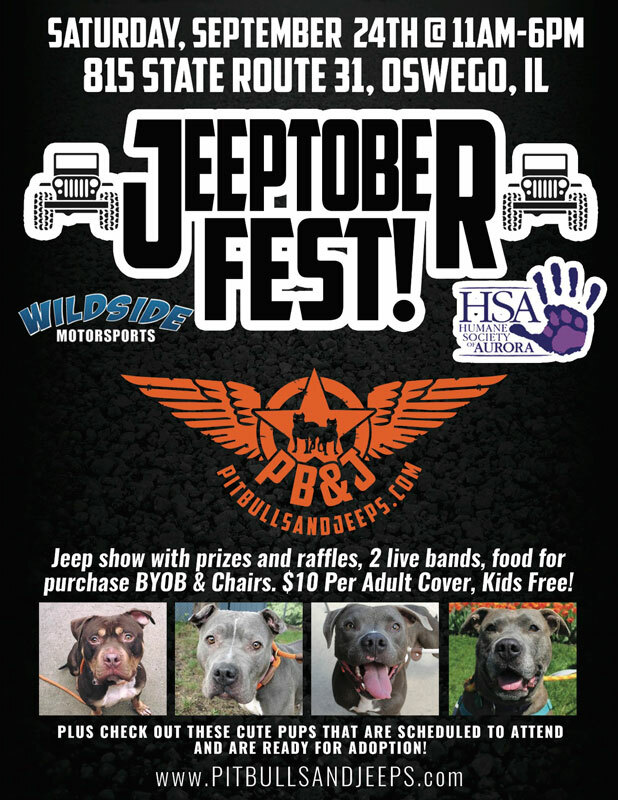 Sponsored by Wildside Motorsports, The Human Society of Aurora and PittBullsAndJeeps.com!